The National Park Service turned 100 in 2016. Inspired by great posters from the Golden Age of poster art (late 1800s-mid 1900s), the award-winning Anderson Design Group in Nashville created a new series of colorful posters, one for each park from Acadia to Zion. 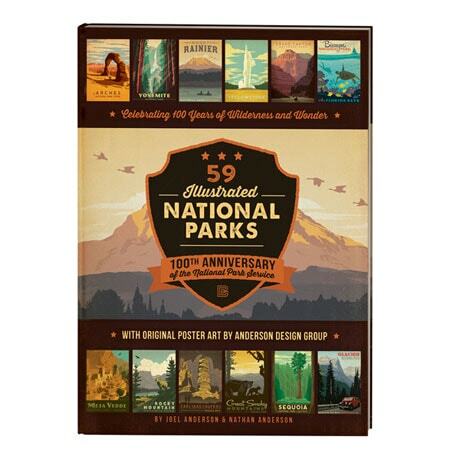 Hardcover coffee-table book (XB3622) includes all 59 posters, information about each park, the history of the park service, travel tips, and more. 9" x 12", 160 pages. Regulation-size playing cards (XB2532) include 54 poster images. Sold Separately.